Easily illustrate the 5 VSEPR models. 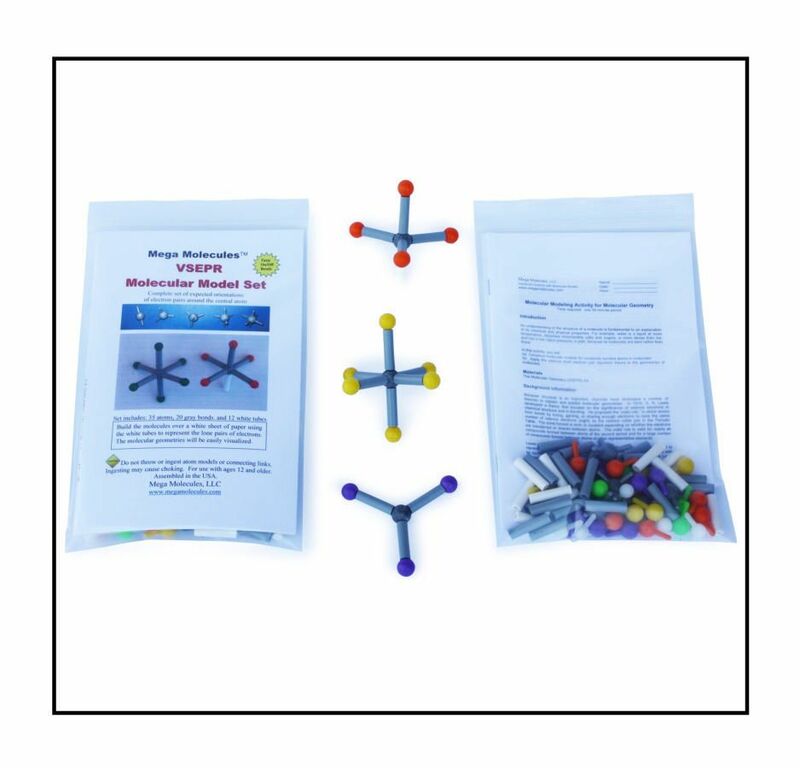 Five universal VSEPR models allows the students to build linear, planar triangular, tetrahedral, trigonal bipyramidal, and octahedral structures. When the student builds the molecules over a white sheet of paper and uses the white links to represent the lone pairs of electrons on the central atom, the molecular geometries can be easily visualized.